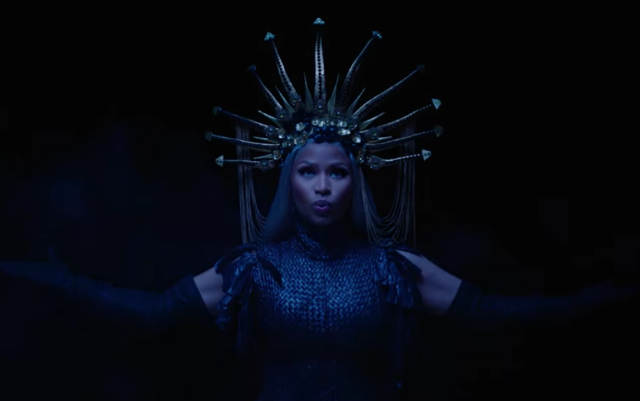 Nicki Minaj has released a new video for her song “Hard White.” Taken from her latest album Queen, the track features standout production from !llmind, and the video finds Nicki dressed as royalty, alternating between shots of her in an elaborate crown and reflective silver dress. The video was notably directed by Mike Ho. Nicki’s latest album Queen dropped in August, paired with videos for the album tracks “Bed,” “Barbie Dreams,” and “Good Form.” Her European tour dates with Juice WRLD start later this month in Munich. In January, Nicki was nominated for a BRIT Award. Watch her video for “Hard White” below.